There is only ONE “Full Service” Staffing Company in El Paso, and you’ve just found us! dmDickason Personnel Services has been conducting staffing and placement services in El Paso since 1965 when it was established as a franchise of a well known national staffing company. Locally owned and operated since its beginning, the dmDickason organization has been a unique leader in the staffing industry to the Southwest, the U.S. Mexican Border Region, and to the Nation. For over four decades, we have dedicated ourselves to finding the best job candidates for leading companies across the United States, Canada and Mexico. Chief Executive Officer Don Dickason (the "d" in dmDickason) joined the company as an Executive Recruiter shortly after his college graduation from New Mexico State University in 1974. In 1975, he became one of the youngest Branch Mangers in the 500 National office system. He became the local franchise Owner in 1984, and in December 2000, he and his wife and partner, Martha, bought out the National Franchise and changed the name of the company to dmDickason Personnel Services. Don has a long and distinguished record of industry achievement, is double certified in employment law, and is a nationally recognized speaker and trainer. 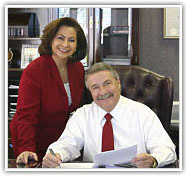 In order to provide our many loyal corporate clients with the same high quality temporary and temp-to-hire employees that they enjoyed receiving from Don’s Career Placement / Executive Recruiting Division, Martha Olguin-Dickason (the "m" in dmDickason) founded dmDickason Temporaries in February 1992. Martha was named President and majority stockholder of the new Minority/Woman owned, H.U.B. certified Company. Martha is certified in employment law, is a nationally recognized production leader, speaker and trainer in the temporary staffing industry, and was named "Business Woman of the Year" by the Texas Hispanic Chamber of Commerce. In 2002 dmDickason Personnel added an Employee Leasing (PEO) Division to their company, and today, dmDickason Personnel Services is licensed and insured to provide complete human resource /employee leasing / outsourcing services Nationwide! 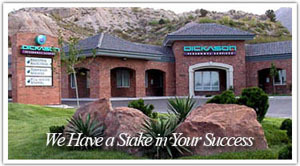 dmDickason operates from it’s 14,000 square foot headquarters in West El Paso, where it provides complete human resources services blended to fit every company’s exact needs. As business Owners and long time El Paso residents, Don and Martha have a large stake in their community, and are fully committed to the success of their operation. Moreover, we realize that our success depends largely on the business relationships developed with our important Employees and Corporate Clients. Therefore, we strive everyday to provide that added personal touch that is so often lacking with larger National Staffing Companies, where decisions that are supposed to be good for you, are really being made by out-of-town people that don’t even know you. dmDickason, however, can offer the large system infrastructure, benefits, training and knowledge with the personal entrepreneurial spirit and hands-on dedication that ensure customer satisfaction. Our success in presenting just the right candidate for the job has not only attracted the best job applicants in the area, but has also helped us build and serve a local and national client company list of many world-recognized Fortune 500 Corporations. Many have been our clients for over 30+ years. So, if you are looking for great people, or maybe a career move for yourself, we invite you to tour our site. We are excited about working with you, and are quite confident that you will share in our enthusiasm.